Improve Your Chances Of Winning Competitions! Hi, I'm Craig Seitam from CompetitionsGuide.com.au! 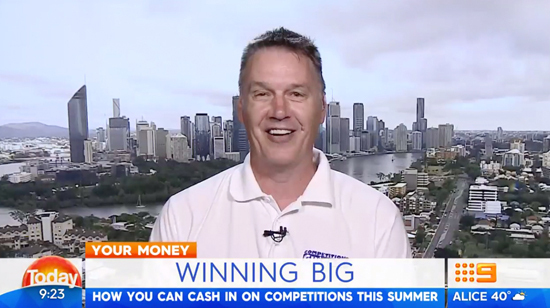 You've probably seen me on A Current Affair, the Today Show and Sunrise showing Aussies how they can improve their chances of winning competitions. The first step to winning is to Join Us Here, if you haven't already! There's a minimum of 300 competitions running at any one time including Cash, Cars, Holidays, Caravans and more. Simply join up to CompetitionsGuide.com.au in 30 seconds and you could increase your chances of winning competitions! Join thousands of Aussies who've made CompetitionsGuide.com.au their Winning Choice!